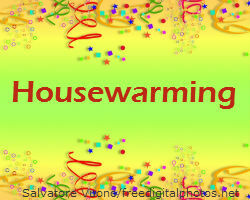 Housewarming is an informal way of celebrating with friends and neighbours after moving into a new home. The event has its origins from the days before central heating, when people used to bring firewood and start fire in all the available places in the house. This was done to warm the house and ward off evil spirits. Different cultures show different variations in celebrating a housewarming party that range from a potluck meal to a Buddhist ritual involving monks to an elaborate Indian ceremony, where family, friends and food play an integral role. Gifts are not mandatory but considered good etiquette on the part of the guests, be it something for the new home or a basket of food or wine to be enjoyed during the party. TIP: Housewarming events can be combined with regularly-celebrated holidays like Labour Day for dual-functionality. Tours of your new home are an important aspect of your housewarming party and can be approached in many ways. 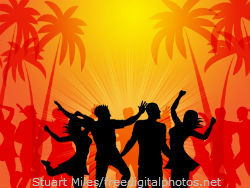 Housewarming parties can be centered on an activity like house painting or gardening. Housewarming is usually a casual event so finger foods are ideal for the occasion. Foods like steak or chicken skewers, stuffed mushrooms, deviled eggs, coconut-crusted fried shrimp, cheeses, fruit and vegetable trays, small tea sandwiches, cookies, cheesecake and beverages like tea, coffee, beer, wine, and soda can be used. Food can be a great icebreaker, as it can get strangers to start talking to each other. You can arrange different types of foods in different rooms along with small plates and napkins so that guests can enjoy them while taking a tour of your house. Guests can get things that you need by following a gift registry method. Sometimes guests can put together an assorted collection of housewarming gifts for you. If you are not interested in getting any gifts, then you can always ask your guests to donate a small amount to your favourite charity. Housewarming is an excellent time to express your gratitude to friends and family who have helped you move in, paint and adjust to your new surroundings. A guest book where guests can sign and write their good wishes should be provided which you can add pictures to for future remembrance.